Cleanliness and hygiene in food production is a high stakes consideration. It’s not just about business risk, there are also legal obligations and the very real possibility of harming people through your actions, that’s why it’s important to never leave anything to chance in your food production area. The Australian and New Zealand Food Standards programs integrate a point system that is internationally known as HACCP, or the Hazard Analysis Critical Control Point System. Hazard Analysis: Identifying potential hazards in the production of food. Critical Control Points: Outlining the steps essential for management of hazard control. Critical Limits: Identifying minimum and maximum limits for control points. Procedures: Design and implementation of procedures. Critical Control Monitoring: Control monitoring of implementation. Corrective Action: Specific action to correct hazards if they arrive as well as analysis of implementation efficacy. Record Keeping: Review and record keeping of procedures. Ensure all equipment for the production, storage and transport of food is easy to clean. Ensure the cleaning and disinfecting procedure does not damage the equipment in any way. Ensure cleaning agents are rinsed away as part of the procedure, and that they do not leave potentially toxic residue. Develop regular maintenance and calibration schedules for all equipment. Transparent communication of any illnesses that could affect food quality. Appropriate attire at all times. Full training and appropriate use of machinery. Minimal contact with ready to eat food. No coughing, sneezing, spitting or eating of food around the production areas. Effective and correct cleaning and sanitisation applications. Prevention of dust, metals, glass, chemicals and other foreign objects from entering the food production areas. Temperature control across the product lifecycle, from production to storage and transport. Consistent disinfectant of areas that have come in contact with raw foods, particularly meats. Maintaining high level operational hygiene is key to any food production area. 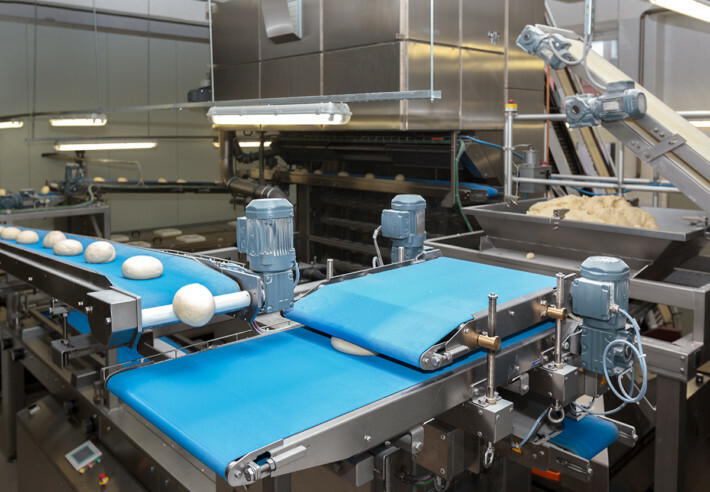 What are the impacts of poorly cleaned equipment and food production areas? Bacteria can disrupt the fermentation process, causing expensive spoilage and the creation of unwanted byproducts. Even more concerning, these microorganisms can survive the production process and be contained in the finished product, risking the health of consumers. Most meat is stored raw, to be cooked later after delivery. Clean working environments are essential, and food production areas that use raw meat should be cleaned and disinfected at every change to prevent cross contamination. Clean each surface with the appropriate cleaner and method. While you can use an all purpose cleaner for a lot of stuff around the home, on the factory floor it should be fit for purpose. When sweeping a wet floor, use a squeegee or squeegee mop as they are easier to clean then brooms and brushes. Use the correct temperature water to flush and sweep soil. Apply sanitiser only after a thorough cleaning. Rise sanitiser from surface or floor using only clean water, unless using non rinse sanitiser. There are many factors you should know about when cleaning food manufacturing and production areas. What is the type of waste / soil being removed? Do you understand how water affects both the waste and chemicals used in cleaning? Do you understand the effects of cleaning agents, waste and water on the surfaces being cleaned? Do you know who will be doing the work and how often? If you’re unsure about any of these principals, talk to a professional factory cleaner about how these principals benefit your food safety and cleanliness. If you run a food manufacturing factory, it’s imperative that your premises is professionally cleaned, daily, with the highest quality equipment. 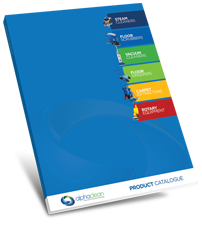 Make Alphaclean your first point of call for your professional cleaning equipment needs.